Kong was charged and arrested in 2003 at the age of 25 for felony joyriding, for which he spent a year in jail. Neth was arrested in 1995 and convicted for felony weapons in relation to gang enhancement. Generally, the charges — including a misdemeanor for Neth for receiving stolen property — should be considered violations that remove their legal status in the States. The men were pardoned on December 23rd in defiance of Trump’s recent push to deport legal aliens that violate their visa and refugee terms by engaging in criminality. Both were booked to be deported on Christmas Day. This fall, Jerry Brown made international headlines by signing a bill that decriminalized the action of not telling a sexual partner, or even a blood donation clinic, that you are infected with HIV or the AIDS virus. Usually when you donate blood, you are asked questions about your previous activities like whether you have visited a foreign country or if you were once a user of needle drugs. This is used to help weed out people who are at high risk for infecting a patient. Now, it is no longer a felony in California to knowingly donate blood when you know you are HIV+. Even if tested, a small amount can evade being noticed by the tester and that small amount can still infect a recipient. Before that, Gov. 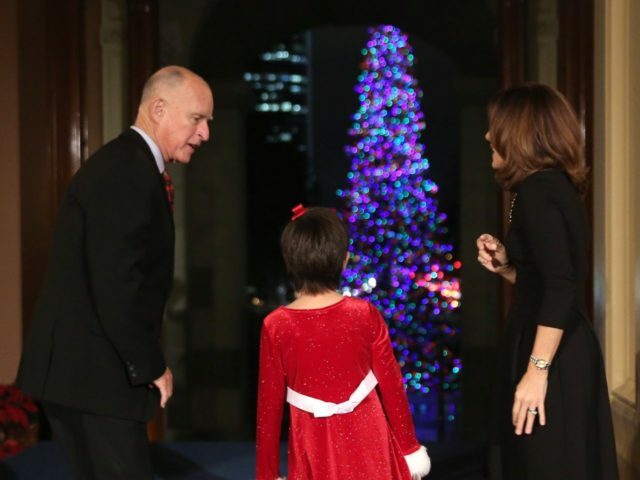 Brown said that Trump voters were “cave dwellers” and said during a meeting with the United Nations that “America is not run by Donald Trump… we are a country of diverse power centers” while also noting that, oddly, he doesn’t run California. Huh? Then what gives you the right to sign climate deals with communist China?